For over 30 years, Database Systems Corp. (DSC) has been successfuly providing technology products and services to customers throughout the world. DSC has developed computing products for call processing centers including phone systems and application development software and tools. Call processing services from DSC include automated phone answering services and message broadcasting services. Sending text messages to a large group of mobile devices is a gaining popularity, particularly with targeted phone audiences such as employees or discreet groups of clients. Text messaging members of a community during an emergency alert is also gaining popularity. What Is Short Message Service? Short message service is a mechanism of delivery of short messages over the mobile networks. It is a store and forward way of transmitting messages to and from mobiles. The message (text only) from the sending mobile is stored in a central short message center (SMS) which then forwards it to the destination mobile. Commercial text messages can be sent to all of your clients or to a select group of vendors. Emergency text messages can be delivered to community members in the event of a disaster that affects a large number of individuals. Contact DSC to learn more about our how to send text messages to your customers and community members. Our online message delivery service is easy to use and it's secure. Once you've registered for our service, here are the simple steps required to send voice messages. Create and upload one or more list(s) of call recipients. Push "Start" message broadcast button. That's it. For an online tour of our message broadcast service, visit our message broadcasting demonstration page. DSC now provides an online signup for non-profit and commercial organizations wishing to use our voice message broadcasting and Text Messaging service. Text Message Broadcast - Basic text message where the system broadcasts a simple message to a list of mobile device phone numbers and sends a text message. This technique could be useful when you wish to provide basic information or announce an event, provide a reminder, or request an action from the contacted individual. Custom Text Message Broadcasting - Similar to a basic text message, but the message broadcast system sends a unique text message based upon the number dialed. Likewise the entire message could be unique for each number or based upon demographic items in the call list database. The message itself could be stored in the database. Text Message Broadcasts with Captured Text Responses - Expands the prior text message broadcasting techniques by sending a message that gives the contacted individual options from which to select. The text message sent can request an acknowledgement or text response can be captured. This information can be transmitted back to the initial client that sent the original bulk text messages. Text Message Sent Via VoiceXML - Text messages can be initiated using VoiceXML or other protocols. 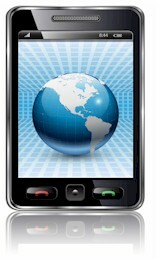 Individual text messages can be sent, or a single text message can be sent to a group (or list) of individual mobile devices. This type of automatic text message generation is useful during emergencies or events that are automatically detected by sensors. Contact DSC to learn more about how to send text messages using our call center technology. Call-Center-Tech is Trademarked by Database Systems Corp. Copyright © 1998 - 2019 Database Systems Corp. All rights reserved.